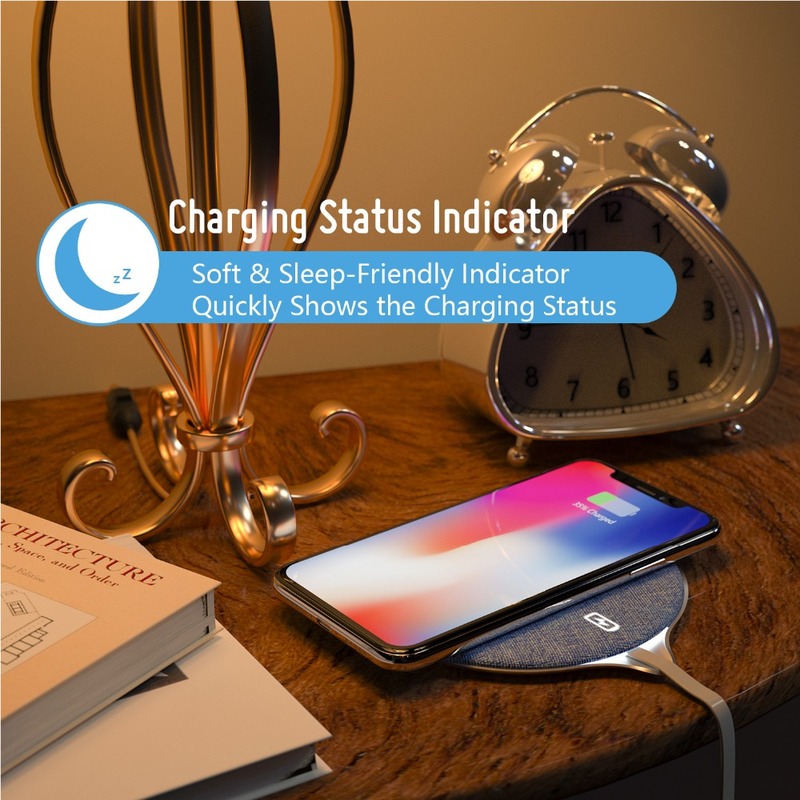 [Two Charging Modes] Fast Wireless Charging Pad for Samsung Galaxy Note 8/Note 5/ S8/ S8+/ S7/S7 Edge/S6 Edge+, enjoy 1.4 times faster charging and save your precious time and energy! 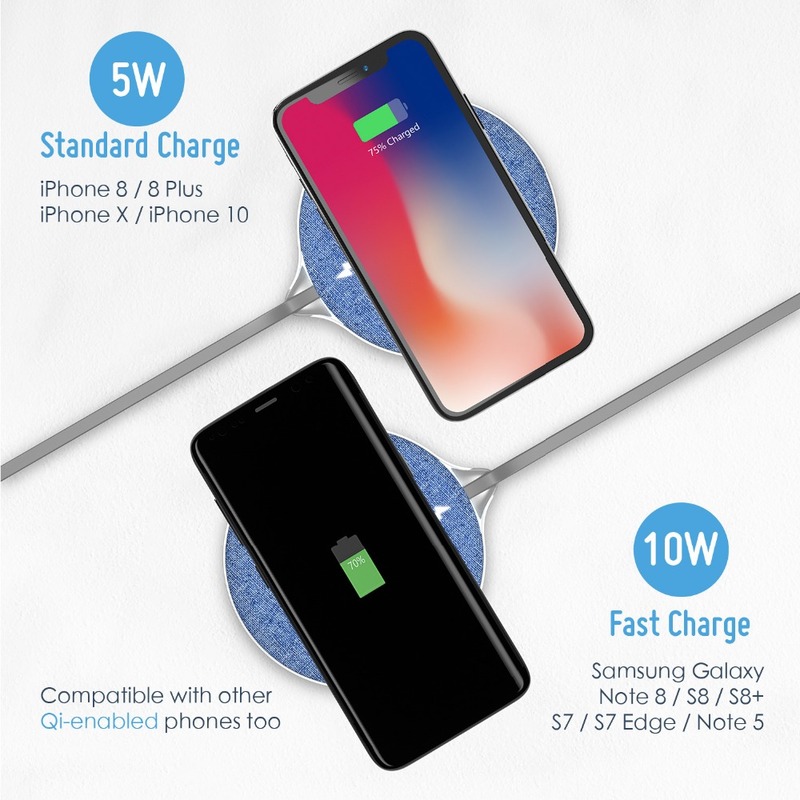 Standard Charge for iPhone 8 /8 Plus, iPhone X/10 & more compatible Qi. 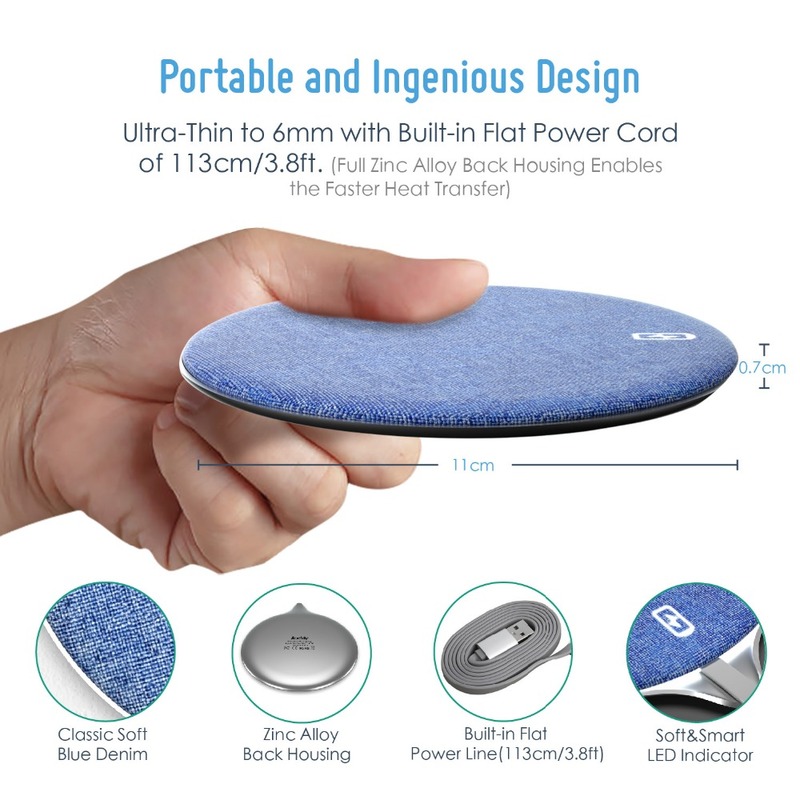 [Ultra-thin] The thickness of the charger is only 3mm, the thinnest charging pad on the market. 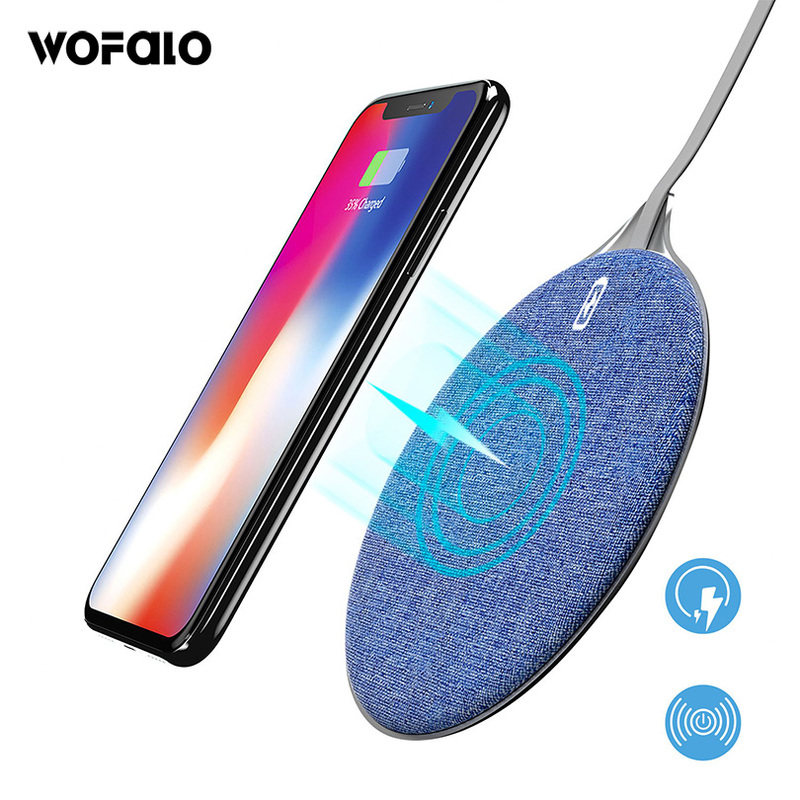 And it's easy to put in your bag to carry anywhere with your phone without worry of missing energy. 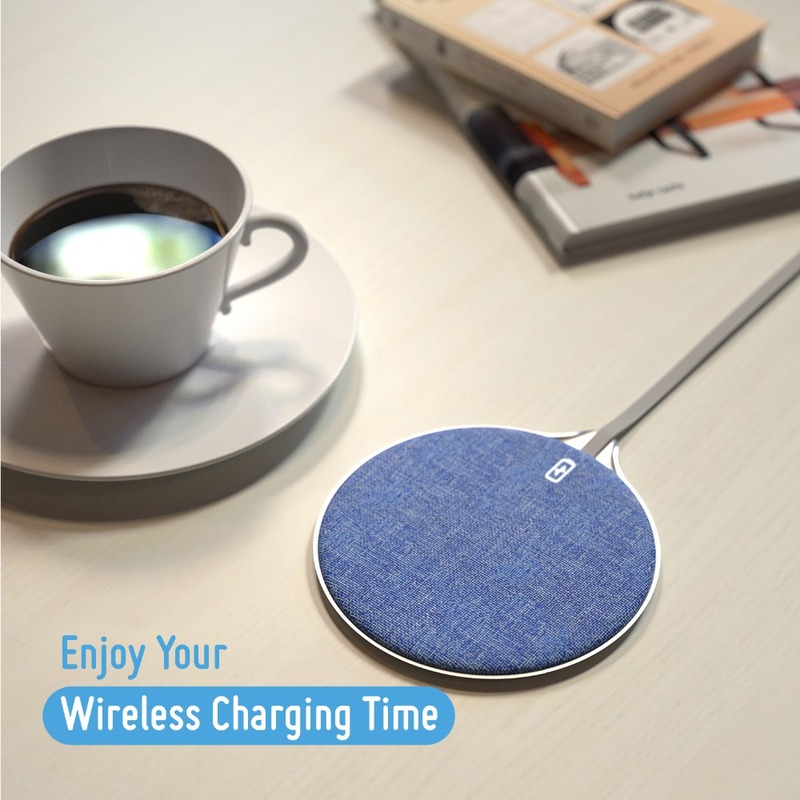 [Elegant Design &Premium Quality] Different from traditional charging pad, our wireless charger(with Built-in Charging Cable more than 1m)is designed with Jean Fabric &full Zinc Alloy back which help heat radiation fast, charged cooler than other ordinary charging pad, more durable for the battery. 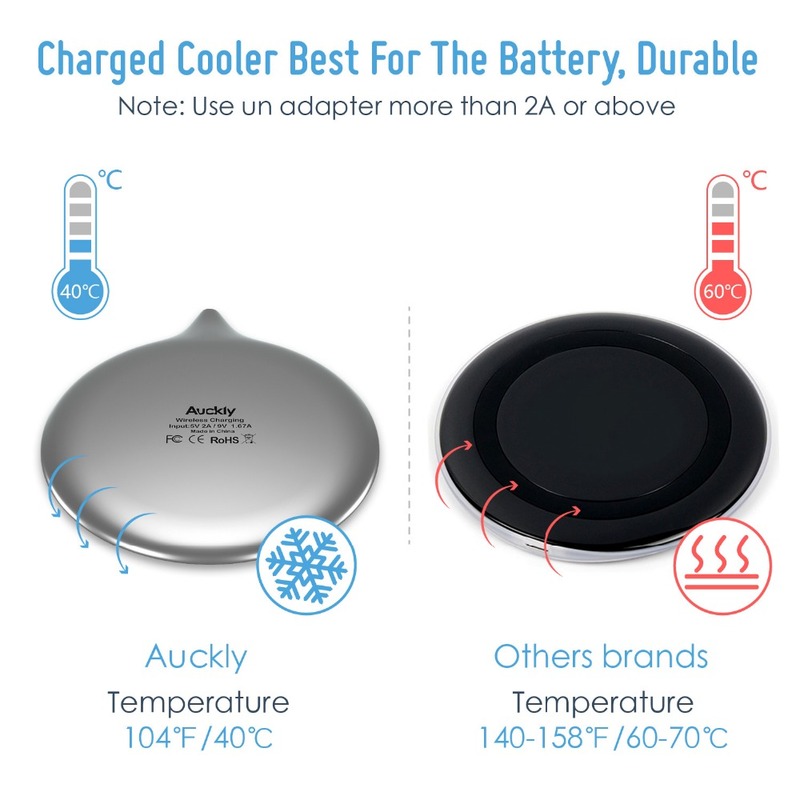 [Soft Smart Breathing Light]The Indicator light will blink for 3 seconds of green light when turned on, and change to Soft Smart Breathing Light while charging and keep blink. The light's location can be covered by your phone, so it won't disturb your good sleep when charging at night. 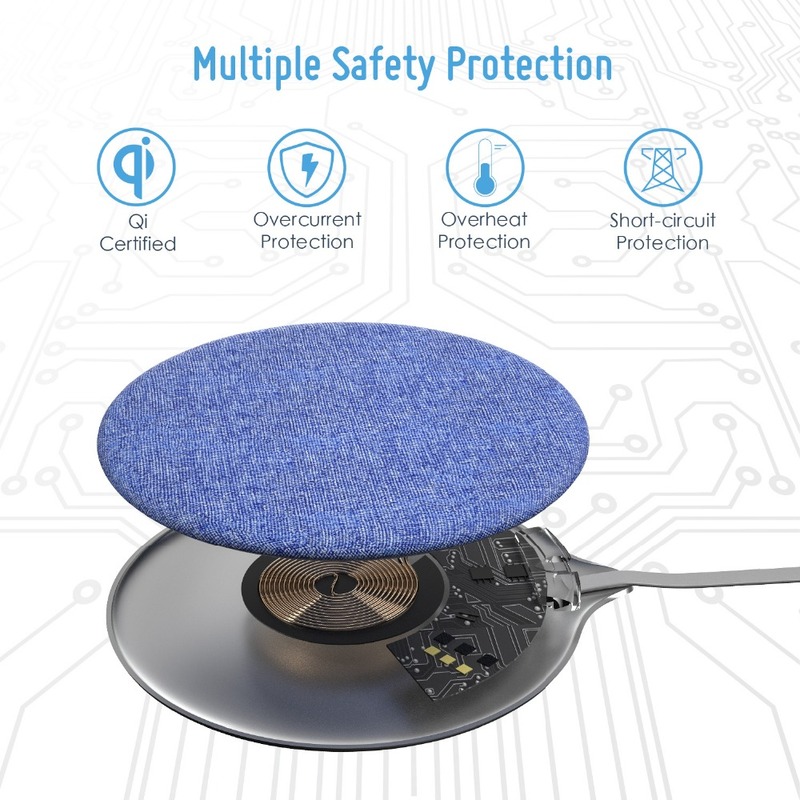 [Safer Devices with Added Protections] Comes with overcurrent, overheat, over-voltage, and short circuit safeguards; standing behind our products, we include a 12 month warranty.